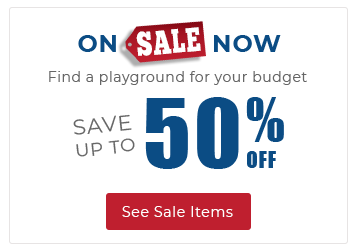 Home Plate is a great choice for a busy park, large apartment complex or church. It offers two slides including a Double Slide. 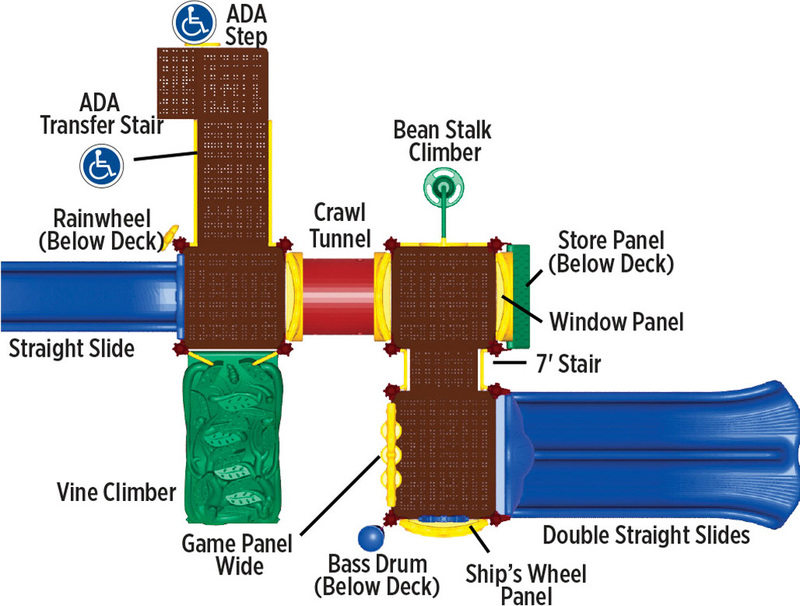 The Game, Window and Ships Wheel Panels add sensory play while on the structure and the Bass Drum and Rain Wheel provide music and sensory play at ground level. The Store Panel encourages children to engage in dramatic play. Additionally, the Vine and Beanstalk Climbers encourage children to use upper and lower body strength while developing important motor skills.